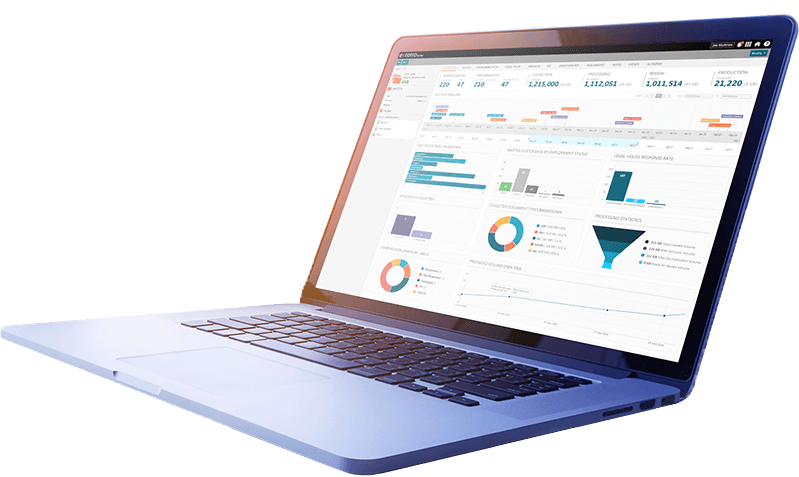 From preservation to production, Exterro’s software platform enables you to get to the facts of your matters more quickly and inexpensively in a defensible manner. Exterro’s solution unifies both internal and external stakeholders on a single platform, automating and orchestrating all tasks and activities in a coordinated workflow process that reduces the time, cost and risk of current e-discovery processes. Whatever your model, Exterro Orchestrated E-Discovery is the ideal solution for companies looking to improve your e-discovery efforts. Whether you choose to manage the entire process in-house or prefer to outsource some e-discovery tasks, Exterro’s technology will meet your needs. Exterro’s Orchestrated E-Discovery Solution orchestrates all the tasks and activities across the entire e-discovery process and unifies all stakeholders on one integrated platform. It also gives you a direct pipeline into your client’s data sources, opening up opportunities to deliver more e-discovery and other high value services. The Exterro Orchestrated E-Discovery Suite is a natively-built cloud-based solution that delivers everything you need to quickly and easily meet the needs of your unique client matters. Flexible, matter-based pricing and modular product functionality enable you to focus on all or part of the e-discovery process. Federal and state government agencies use Exterro to provide a centralized management hub for rapidly responding to FOIA / public records requests. Customizable processes manage all activities, from document preservation through to production. 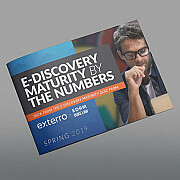 Exterro clients and partners explain how Exterro’s Orchestrated E-Discovery Platform helps them save time and money, reduce risk and mistakes, and improve the defensibility across the entire e-discovery process, from legal hold through collection, processing, culling, review, and production. Exterro's e-discovery software is available as a complete end-to-end orchestrated e-discovery solution or as individual products. Explore the products below. Rest easy knowing Exterro’s policies and processes implemented to protect your data have been SOC 2® Type 2 certified and approved as FedRAMP Ready for Agency Authorization. Learn more about Exterro's cloud-based hosting and data security here. When looking for a partner who is going to help you achieve a goal it's very important that you have confidence in that partner and that they are going to be with you throughout the whole journey. It's not a simple sales cycle where after the deal is done, they are move on. I really felt with Exterro, and the client success team in particular, that we were going to have that relationship. The ability that Exterro gives the user to tie in projects and trackable instances of each section of the legal hold process is something that can't be challenged. Having complete control of the custodian list and incorporating that with the HR data with nightly integrations adds a great deal of automation to the function that used to be completely manual. Exterro continues to evolve alongside Vestas with an upgrade to their new 5.0 Legal Hold tool. The transition was a breeze, with an interface is so intuitive, even people that have previously been intimidated by technology, easily taught themselves how to use the system. The Exterro tool will pay for itself within the first year, because we can produce our own data and can do smaller subpoenas in-house. The cost benefit seems so clear when you lay it out, but people are so darned scared to take that leap, because it's an unknown. Everyone is used to saying, 'Just farm that out,' but that isn't always cheaper or the most efficient way of doing things. When we asked for the budget, we said, 'Here's what we spent, here's what it costs for these new tools, and here's what we can save in a year.' It was several millions. With the Exterro platform, it’s much cheaper to hire a full-time employee to manage the whole end-to-end process than it is to send things to third-party vendors. Love the way Exterro is a partner to our organization, not just a vendor. 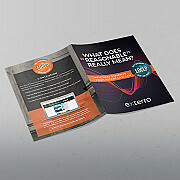 I really enjoy collaborating with Exterro on various solutions. They listen to our concerns and really work with us on making a solution that suits our needs. Our Legal Department’s philosophy is, as a member of the business, we should constantly be looking for ways to improve our efficiencies and ways to bring value to the organization. It has become obvious that, in order to better serve the company, we need to introduce legal technology like the Exterro platform. Changed our LH World for the better. The reporting module has made my Legal Hold support role so much easier. We utilize scheduled reporting not only for disseminating information, but for data input into downstream applications. I am in IT and support this product for our legal team. Exterro has the best support that I have ever had the pleasure of working with... If we ever have any technial issues, support is extremely quick to respond to any question or concern any staff members have. Complete this questionnaire for guidance on how and if Microsoft Office 365's e-discovery features meet your legal requirements. Learn about the definition, use cases, pros, and cons of new e-discovery technologies in this white paper.